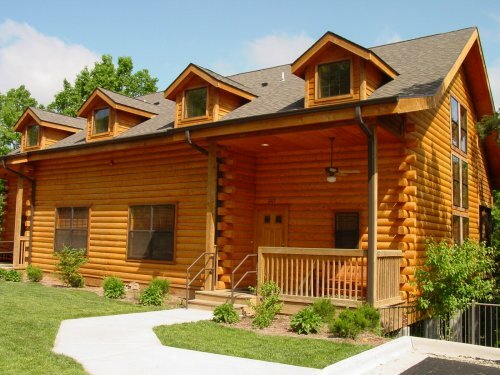 Set in the heart of Branson, experience the Ozarks in a secluded cabin that offers one of the best locations in town! 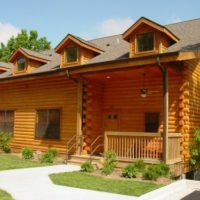 Stay at The Cabins at Grand Mountain in Branson! 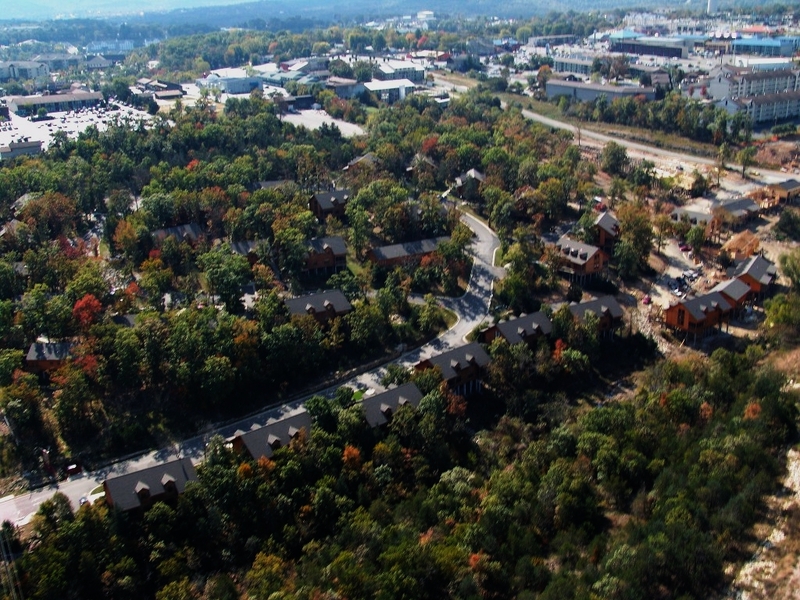 Sitting alongside the beautiful Ozark Mountains in the very heart of Branson, you will find the very popular and highly sought after Cabins at Grand Mountain! Thousands of visitors each year stay here for an unmatched vacation experience, making memories that last a lifetime! 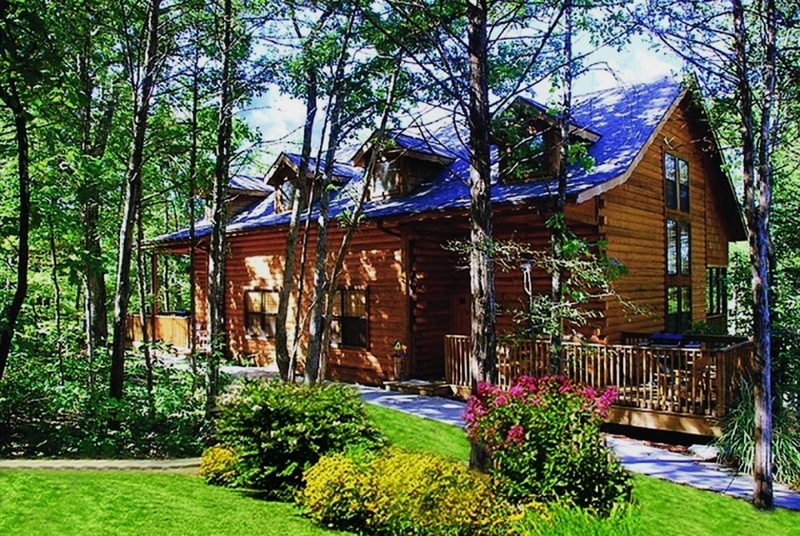 Luxury, Rustic Log Cabin Rentals! Few vacation rentals or cabins in Branson offer the services, features, and amenities that you will find when staying here. Tastefully-appointed with modern decor and furnishings, they provide the perfect place to stay after a day of fun in America’s “Live Entertainment Capital” – Branson, Missouri! Anything you might need for and unforgettable stay has been provided for you, ensuring that the only thing you’re worrying about is how much fun and relaxation you’re going to have! Fully-Equipped Cabins With Everything You Need! No detail has been left out or overlooked, everything you might need for a comfortable stay has been include to ensure the very best getaway possible! From the fully-equipped kitchens (complete with dishes, cookware, and more) and stocked linens and towels to the modern features like DVD players and TVs – it has been designed to give you and everyone with you a stay in Branson that is unmatched by any other resort! 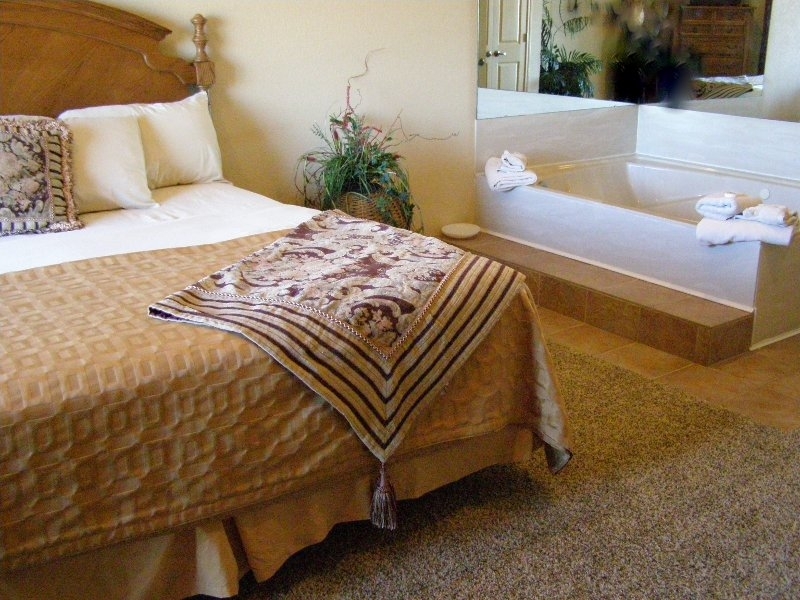 Cabins Have Full Access to Thousand Hills Resort Amenities! One of the best perks when you stay at the Cabins at Grand Mountain is that you will have full access to all of the features, services, and amenities of Thousand Hills Resort when you choose to stay at one of the resort-managed rentals! Just a few of the things you will have access to and can take advantage of while you’re here include: a basketball court, fitness center, tennis court, and 9 beautiful indoor and outdoor pools! Also available for rent are some privately-owned and managed cabins. While these owner-managed and rented properties don’t include access to the amenities that you get by staying with one that is resort-managed, they can sometimes provide savings, discounts, or availability that the resort might not offer. Log Cabins for Any Type of Visitor or Group! Ranging in size from smaller 1 bedroom studio-style cabins to large and spacious 4 bedroom units that can sleep up to 12 people, you’re sure to find the perfect cabin rental that suits your needs! Whether you’re looking for a weekend getaway or a week-long vacation, your stay here offers the ultimate in style, comfort, luxury, and location! Secluded Location in the Middle of Branson! 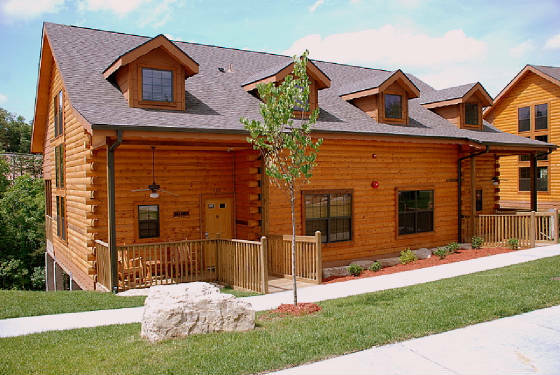 Few resorts, cabins, or vacation rentals offer the incredible location you will find when you stay at the Cabins at Grand Mountain in Branson! 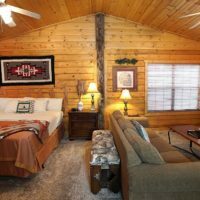 Located directly in the heart of Branson just a few blocks off the famous Highway 76 “Strip,” these rustic cabin rentals give you unmatched access to all of the things to see and do in town! 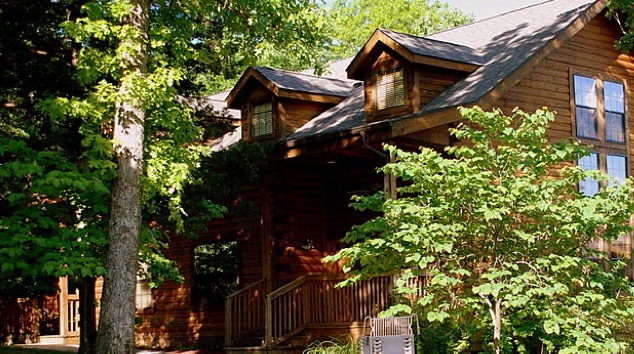 While the cabins are just off the Strip, they are tucked away against the Ozark Mountain hillside surrounded by beautiful trees and forests, ensuring that there’s plenty of space and privacy for you during your stay. 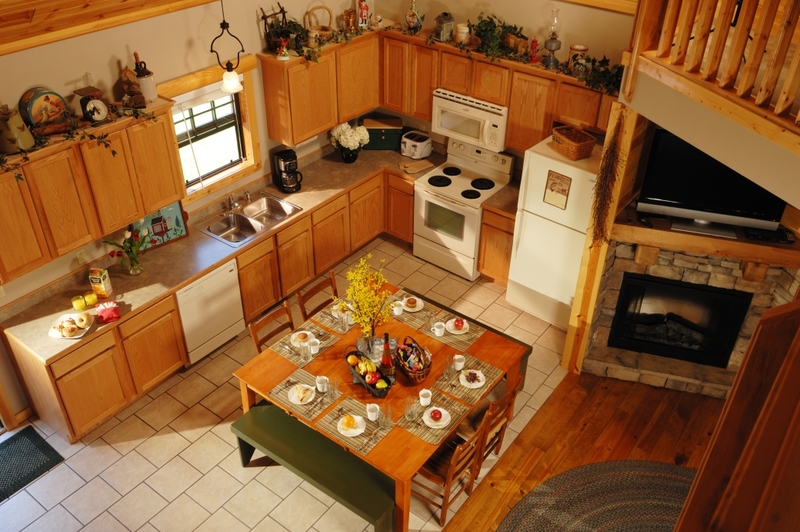 Unmatched in its location, these private cabins are the most conveniently-located in town! Set in the Ozark Mountains & Forests! Beautiful, Rustic Log Cabin Rentals!